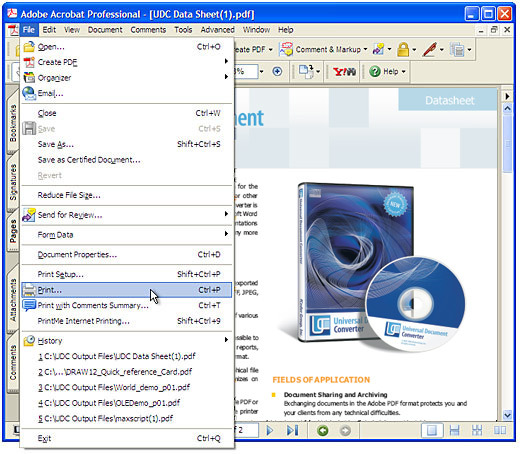 Users often need to convert PDF files to TIFF format. That's not surprising, since both formats are popular but are used for different purposes. 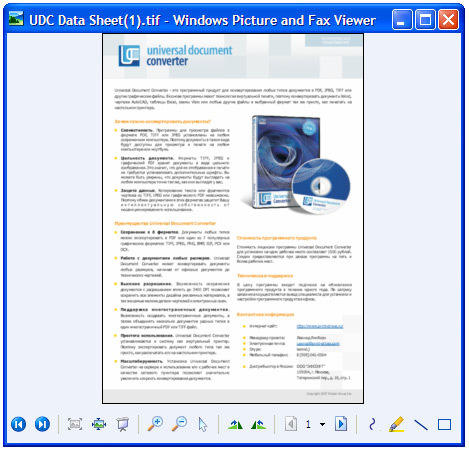 Universal Document Converter makes it easy to turn PDF files into TIFFs. Download the Universal Document Converter installer and install the software. Open a PDF in your PDF viewer (this could be an Adobe program like Adobe Acrobat or Adobe Reader, or any other software for viewing PDFs). Then open the File menu and choose Print (or follow your software's steps for printing, if different). 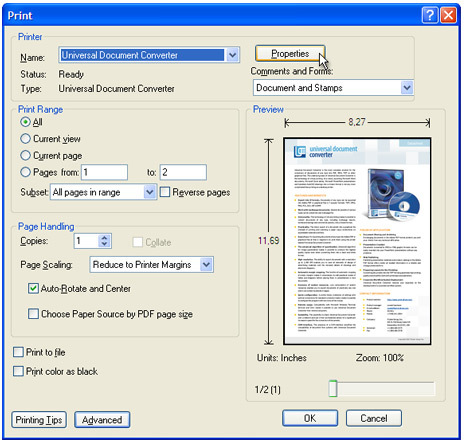 In the list of available printers, choose Universal Document Converter and open the Properties window by clicking on Properties. In the Properties window, click the Load Properties tab. In the window that opens, choose "Drawing to TIFF.xml". Click the File Format tab. From the drop-down menu, choose TIFF image and click OK. In the viewer's print window, click OK. This will launch the conversion process. Once conversion is complete, the new TIFF file will be saved to My Documents\UDC Output Files. The new file will automatically open in your system's program for handling TIFF files (by default, this will be Windows Picture and Fax Viewer).